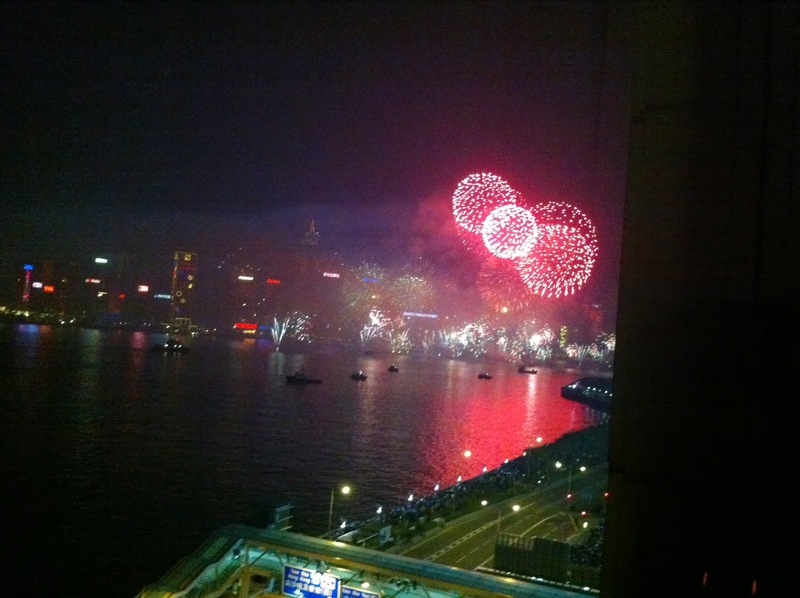 Being able to watch the fireworks from our room: Priceless! B and I enjoyed four nights in Hong Kong over the New Year and I saved up to get a harbour-view room at the Intercontinental Grand Stanford in Kowloon. While not quite as central as some of the harbour-view hotels closer to the Star Ferry Pier, our hotel in Tsim Sha Tsui East was far more affordable and the views of the spectacular New Year's Eve fireworks were amazing! I knew it would be impractical to wake up B at midnight to take him out to the promenade to watch the fireworks, so the harbour-view room worked out perfectly and was well worth the expense. We watched all the action from the comfort of our window sill!